Sidney Rigdon was an early leader of The Church of Jesus Christ of Latter-day Saints (often misnamed the “Mormon Church”). He was born in 1793 in Pennsylvania. When he was seventeen, his father died. His mother died when he was twenty-six, but the year prior to that, Sidney became a Baptist and left home to become a preacher. Six years later, in 1824, Sidney Rigdon, Alexander Campbell, and Walter Scott left the Baptist church over the issues of what happened to infants who died without baptism and began meeting together to discuss religion. They were known as Campbellites, although they called themselves Disciples. Sidney Rigdon continued his work as a preacher, but focused on faith, repentance, baptism, and the Holy Ghost, rather than promoting the doctrines of a specific religion. In 1830, The Church of Jesus Christ of Latter-day Saints was organized and its members were largely known as “Mormons.” One Mormon leader, Parley P. Pratt, had known Rigdon previously, because Pratt had been a missionary for the Campbellites in the past. During a mission trip to the Native Americans, Pratt and his companions visited with Sidney Rigdon and received permission to give a sermon in Rigdon’s church. The sermon had a strong impact on the preacher, and Rigdon and his wife began to pray to know whether or not the Mormons had the truth. They also began to study the new religion. Two weeks after the sermon, the Rigdons were baptized along with more than 100 members of Rigdon’s congregation. The group was formed into a new Mormon congregation and Rigdon was quickly called to the ministry. In December of that year, Sydney Rigdon was commanded by revelation to become a scribe for Joseph Smith, who had minimal education and used scribes while translating manuscripts. He worked with Joseph on a translation of the Bible that was never completed due to the assassination of Joseph Smith. Sidney Rigdon was among the first group of men to be ordained as high priests, which made them lay priests and did not correlate to modern views of a professional minister. He served several missions for the church, being called to preach to the Quakers and along the route to several church conferences. He also undertook several journeys to counter false information being distributed by Ezra Booth, a former member of the church. Booth had been upset because the church, which was new and had little money, did not pay for his mission and because he did not experience a continual stream of miracles, which he felt was a required aspect of a true church. He was upset that Joseph Smith played with children (behavior he found not fitting for a prophet of God) and that his own missionary work did not result in a prophecy that he seems to have thought applied to him. Eventually, he began writing letters to newspapers that contained incorrect or slanted information. These letters led to the persecution and even the death of some Saints. Joseph Smith and Sidney Rigdon saw a vision that contained important elements of Mormon belief. It taught them about the Plan of Salvation, the resurrection of the Dead, and the structure of Heaven. They also saw Jesus Christ and God. In March of that same year, Sidney Rigdon and Joseph Smith were both dragged from their homes by mobs, leaving Rigdon delirious for a number of days and resulting in the death of one of Joseph Smith’s children who was exposed to the cold when Joseph was taken. Sidney Rigdon became the First Counselor to the prophet. The Church of Jesus Christ of Latter-day Saints is organized with a prophet at the head, who is also the president, serving under Jesus Christ as the Lord’s representative on earth, just as ancient prophets did. The prophet is assisted by two counselors and the three men together are called the First Presidency. They lead the church, assisted by the apostles. When the prophet dies, the First Presidency dissolves, the most senior member of the apostles is sustained as the new president, and he selects his own counselors. However, Rigdon apparently had problems maintaining his role as a counselor. He had, several times in the past, been chastised for behavior and attention to his role. After a mission trip with the prophet, Joseph Smith said that Sidney tended towards selfishness, which diminished his effectiveness as a leader. In 1834, Rigdon also became a trustee and conductor of the school the church ran during the winter. In 1838, he and Joseph Smith were forced to flee Kirtland, Ohio, where the Mormons were living, and moved to Missouri. During this time, Joseph seems to have been fairly quiet, with Rigdon giving most of the sermons and others taking on more leadership—leadership that was more militant than Joseph’s own style. In Missouri, Joseph Smith received a revelation to begin the building of a temple, but to avoid any further debt for the project. A cornerstone was laid for the temple and Sidney Rigdon was the speaker. Unfortunately, he gave a speech that was so filled with anger against the anti-Mormons that people who were not Mormon became upset. Tempers rose to the point that mobs threatened the Saints, and negotiations between a government colonel and the mob led to Joseph Smith, Sidney Rigdon, and other leaders being handed over to the mob to avoid violence against the Saints. Sidney Rigdon spent November through the following February in jail to satisfy a mob. He was angry with the government when he was released and wanted justice for his illegal imprisonment. In Illinois, he devised a plan to impeach Missouri for violation of freedom of religion and obtained the support of two governors—from Illinois and Iowa. However, the plan withered. Joseph Smith, with others, drafted an appeal to the federal government to recognize their abuse and appointed Rigdon to deliver it. However, Rigdon was losing interest in the project and did not go. Eventually, he was asked again to go, and two other men accompanied him. He became ill on the journey and did not complete it. By 1834, Sidney Rigdon’s enthusiasm for the church and its trials was waning. In the next General Conference, Joseph Smith expressed a preference for Rigdon to be released, but Joseph’s brother Hyrum, ever the optimistic peacemaker, spoke up for Rigdon and Joseph agreed to keep him on as First Counselor. As persecution against the Saints increased and the federal government refused to step in and protect their constitutional right to free practice of religion, Joseph Smith began to contemplate a run for president. He understood those who voted in his favor might be throwing away votes, but did not want to vote for someone who would use that vote to further the persecution against the Saints. 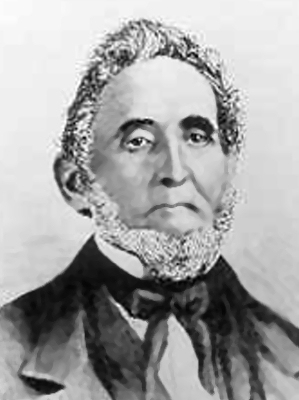 Although it was a gesture, he received a nomination for president, with Sidney Rigdon as vice-president. Whether or not he thought he could win, he saw it as an opportunity to present the issue of freedom of religion to the public. Their platform did not fit into either party, marking him as an independent. He also ran on an anti-slavery platform, which increased the persecution by pro-slavery advocates, but he had long supported the freedom and education of slaves, stating that doing so would make them the same as white people. Soon after Rigdon was nominated vice-president, he went to Pittsburgh, Pennsylvania, and was there when Joseph Smith was murdered. At that time, because there was no explicit succession plan in place, many people tried to take over the role of prophet and president, including Rigdon. As the First Counselor, he announced in a meeting held on the eighth he was the Guardian of the Church now that Joseph was gone. However, that afternoon another meeting was held. As Brigham Young stood and began to speak, people saw the face and heard the voice of Joseph Smith transposed on Young. This transfiguration confirmed to the membership that God had chosen Brigham Young, who was the president of the apostles. Today, the most senior member of the apostles becomes the new president of the church upon the death of the previous president. Many refused to accept the decision the people made to follow what they believed was God’s will, however. Rigdon was angry and refused to sustain the apostles, which led to his excommunication. He then claimed the Spirit had been missing from the church for a long time. He returned to Pittsburgh and organized his own short-lived church. He died in 1876. This article was adapted from: Price, Lynn F. 1997. Every person in the Doctrine and Covenants. Bountiful, Utah: Horizon. With additional information from: Bushman, Richard L., and Jed Woodworth. 2005. Joseph Smith: Rough Stone Rolling. New York: Alfred A. Knopf.